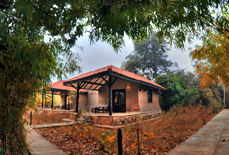 Bandhavgarh Meadows is one of the perfect resorts for the one who seeks for stirring Tiger Safaris and excellent accommodation in peaceful environment with full luxury. 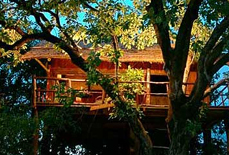 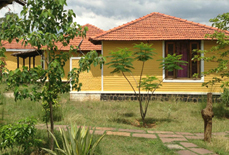 The resort is widely spread into natural environs of wildlife lodges and picturesque settings. 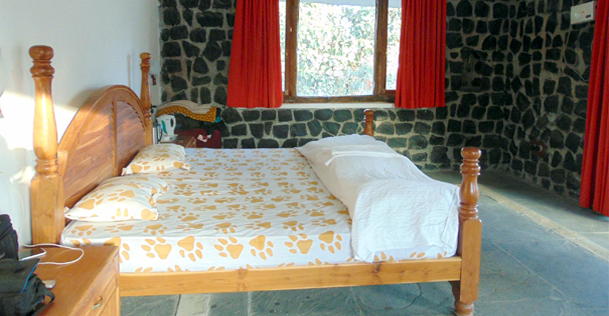 Encircled by Sal forest hills on all sides, it makes you feel as if you are camping out in the jungle with full comforts and protection. 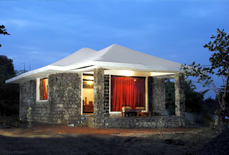 Explore the wonders of nature staying at this paradise with the help of in-house naturalists. 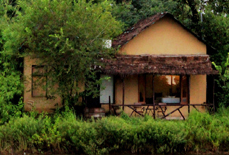 Your stay assures that you are in a wildlife Eden as its beautiful cottages and villas are well equipped with modern facilities. 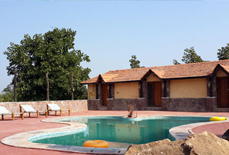 Besides, a refreshing swim in the swimming pool will make you feel cool and relax after coming from day tour. 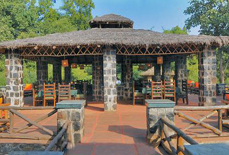 Just relax with a drink after a thrilling day of discovery and wildlife explorations. 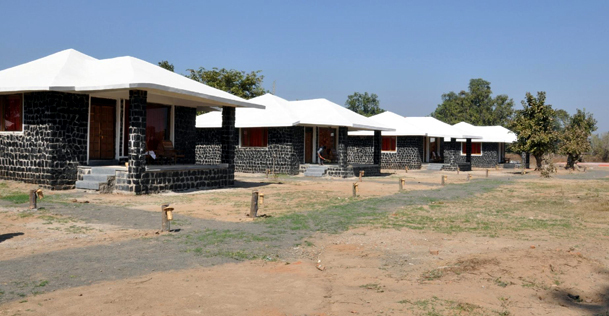 The unparalleled amenities, tribal dance, bonfires and several other adventure activities during your stay will make your trip memorable. 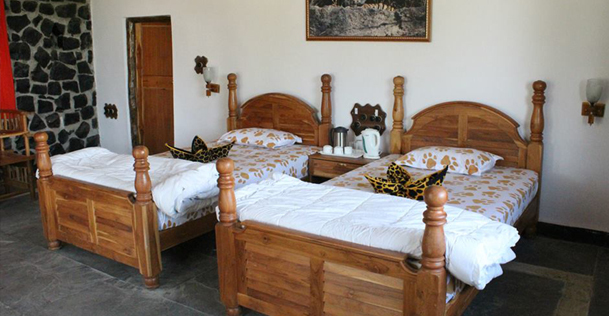 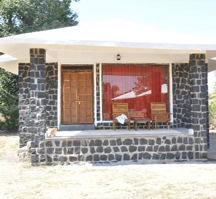 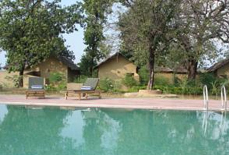 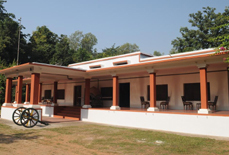 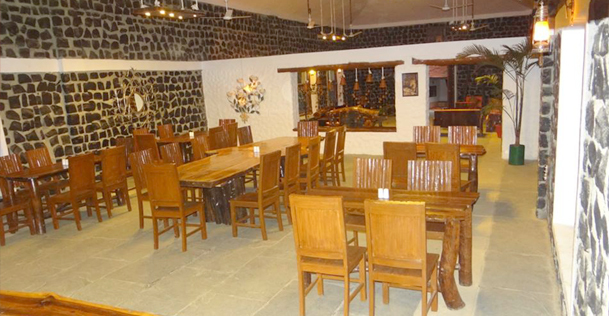 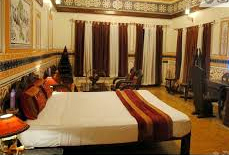 Accommodations: Bandhavgarh Meadows is very popular amongst guests because of its excellent accommodation facilities. 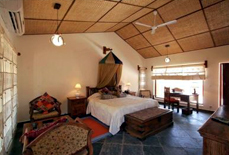 Well built-up with 8 villas and 15 cottages, you can enjoy staying here with luxury. 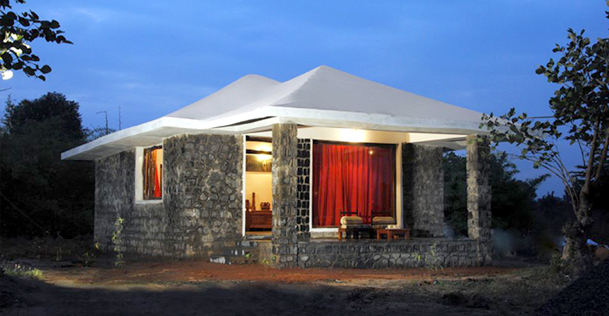 You can enjoy the view of jungle and wildlife from villas big glass window. 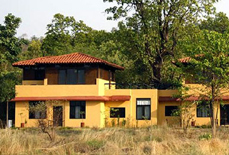 Spread in 4.5 acres of wood lands in Bijaria village, Bandhavgarh Meadows is surrounded by woods, wildlife and hills. 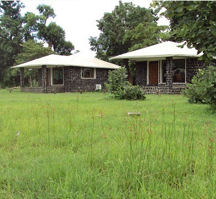 It is located very close to Tala Village (Approx. 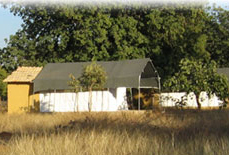 2 kms) and Elephant Safari (Approx. 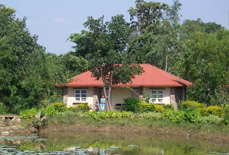 2 kms). 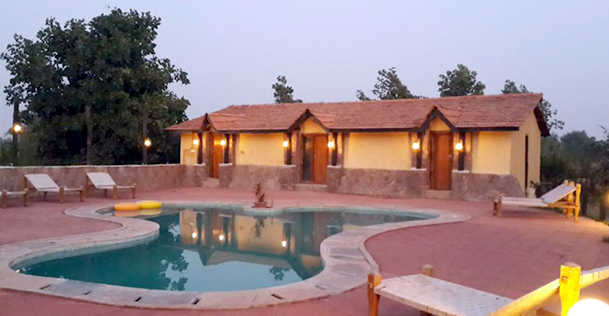 Guests can also explore some interesting spots like the Bhamera Dam, Sita Mandap, and Gharpuri Dam. 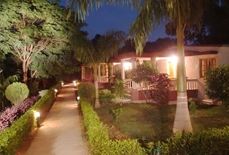 Jabalpur is the nearest airport that takes only around 160 Kms to reach the resort, while the nearest railway station is Katni (104 Kms).